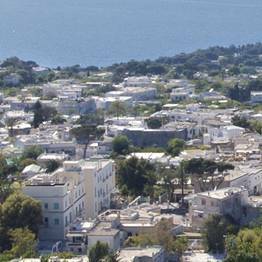 From Marina Grande: directly by bus (timetable) or first by funicular to the town of Capri and from there by bus. 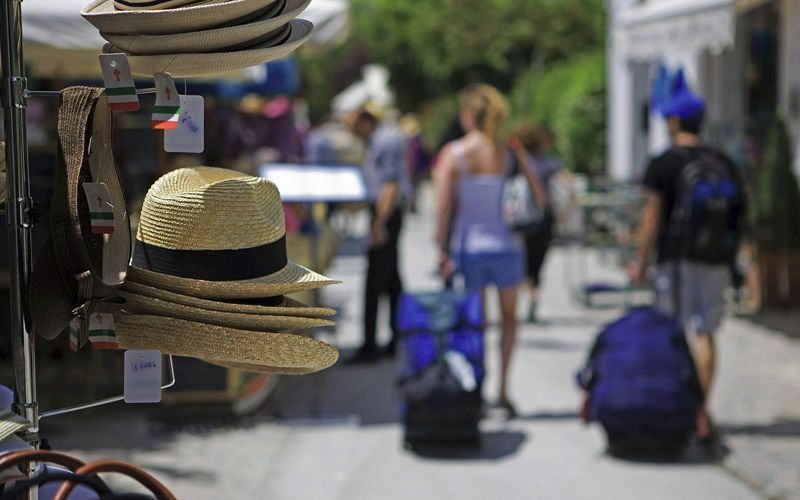 From Capri: by bus (buses leave every 15 minutes; it's about a 10 minute ride). 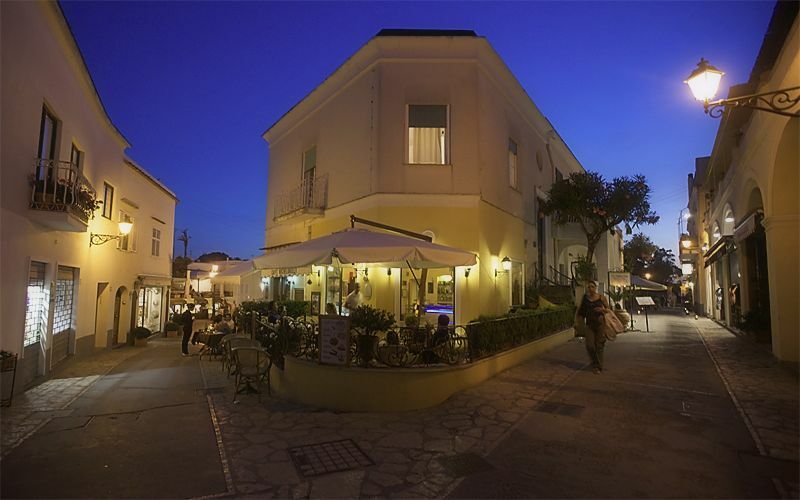 If the Piazzetta of Capri is the unrivalled focus of the island's glamorous social life, filled with elegant sidewalk cafes where the world's beautiful people habitually come to strike a pose, the pretty historic center of Anacapri is the exact opposite: even the most famous of visitors can pass blissfully unobserved as they saunter through the town's peaceful piazzas and bougainvillea and geranium festooned lanes. Buses from Capri and Marina Grande leave passengers at the main bus stop in Piazza Vittoria (which is announced by the driver), where a flight of steps leads up to the entrance to the chairlift to Mount Solaro on the right and Via Capodimonte, the lane which leads to the Museo di Villa San Michele and the scenic overlook facing the Gulf of Naples, to the left. 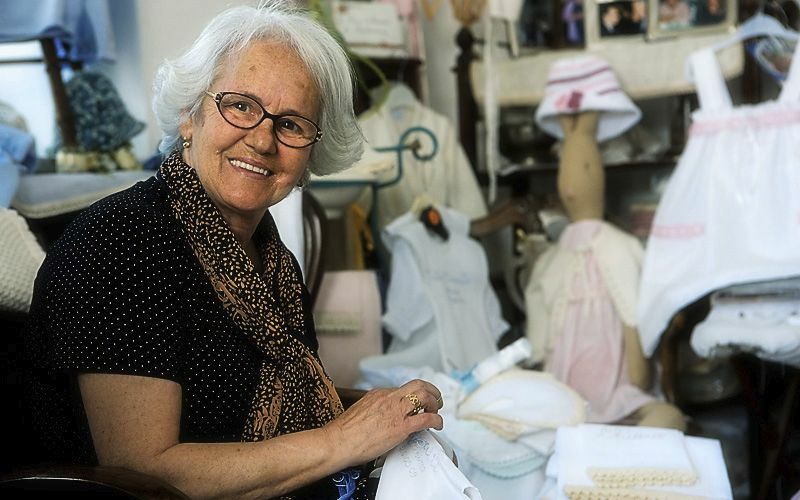 Piazza Vittoria is also where the Via Giuseppe Orlandi begins, a pedestrian lane lined with artisan workshops which winds its way right through the historic center of Anacapri. 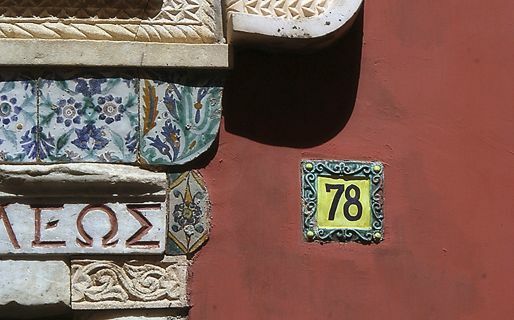 After just a few minutes walk down Via Giuseppe Orlandi, you come to Casa Rossa, a striking building painted in deep Pompeian red and characterized by an eccentric mélange of architectural styles. 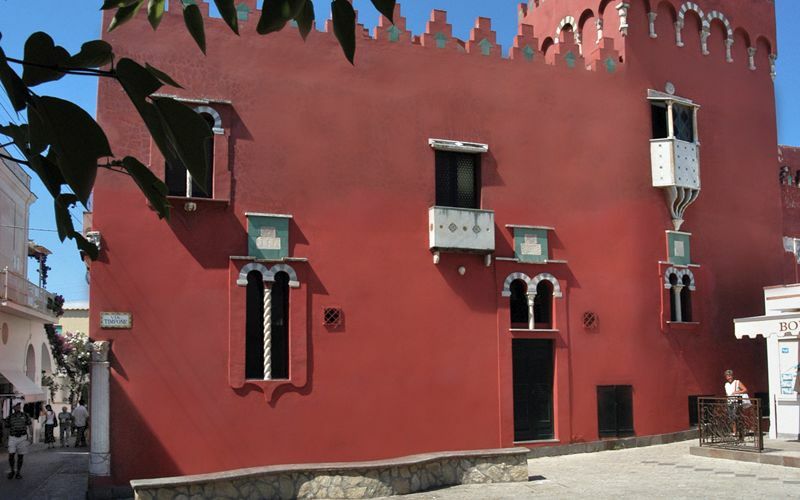 Until 1899, Casa Rossa was the residence of the American colonel, John Clay MacKowen, who came to Italy in the immediate aftermath of the American Civil war. Inside Casa Rossa, you can view the permanent exhibition "The Painted Island: A Pictorial Journey to Capri and Anacapri Between the 19th and 20th Century", featuring works by important artists such as Barret, Carelli, De Montalant, Carabain, Lovatti, Hay, Casciaro, and Vianelli. In addition to a number of impressive land and seascapes, the paintings offer a fascinating record of everyday life on the island of Capri between the 1800's and 1900's. 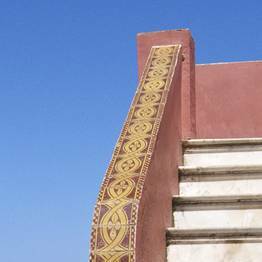 In addition, Casa Rossa houses the incredibly well conserved statues found in the Grotta Azzurra, believed to date back to the time when the Emperor Tiberius elected the famous sea cave as his own personal nymphaeum. Just a few steps beyond Casa Rossa to the right, Piazza San Nicola is home to the Church of San Michele Arcangelo. 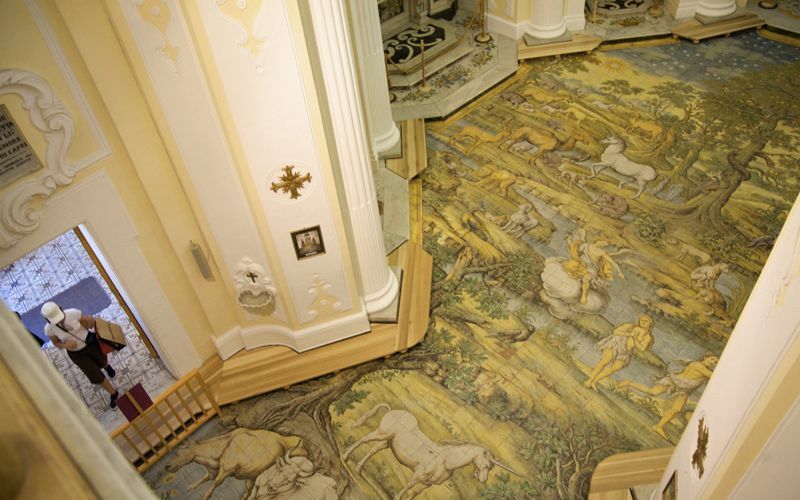 This baroque construction, built between the 17th and 18th century together with the nearby Theresian complex, is one of the island's most important tourist attractions, thanks to its splendid majolica floors, depicting the expulsion of Adam and Eve from Eden. 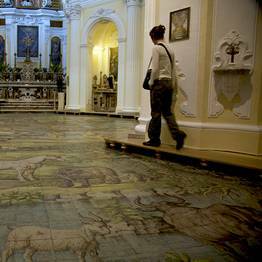 The Church of San Michele Arcangelo was designed by the architect Antonio Domenico Vaccaro and the floor painted by the Neapolitan master Leonardo Chiaiese. 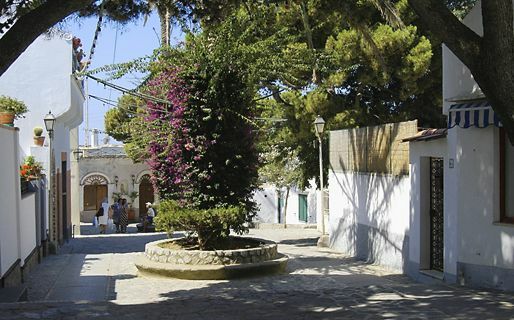 Back on Via Giuseppe Orlandi, continue downhill to the Church of Santa Sofia, Anacapri's most important church. Built in the 16th century on the site of the old parish church of Santa Maria di Costantinopoli, the Church of Santa Sofia is characterized by its recently restored barrel vaults over the central nave and the baroque façade which, in part, hides the historic bell tower, dating back to the 18th century. 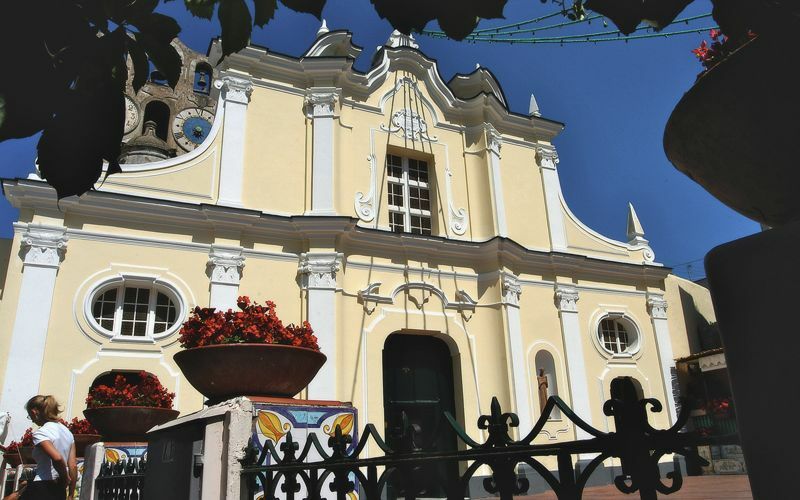 The Church of Santa Sofia faces onto a small piazza paved in red brick and boasting decorated marble benches by the Anacapri-born artist Sergio Rubino. 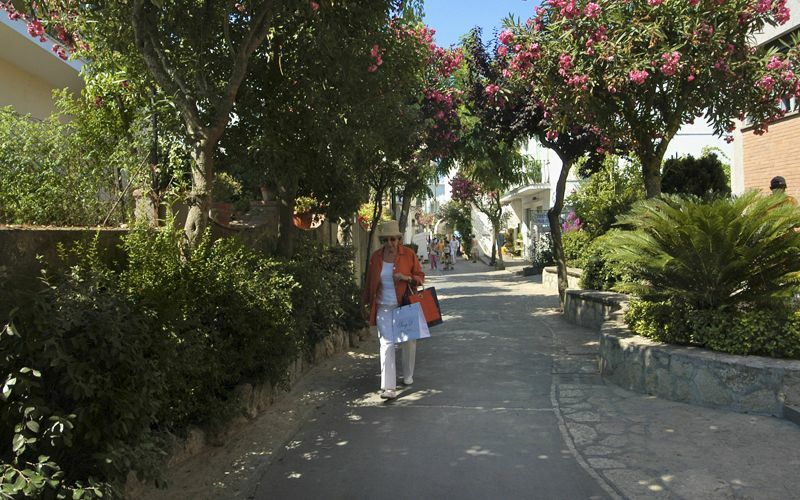 Descending the steps on the left hand side of the piazza near the Church of Sant Sofia, you soon find yourself in "Boffe", one of the oldest districts of Anacapri. This is best place to see the barrel vaulted homes - from this the name of the piazza - constructed by the master builders of Anacapri which so enchanted great architects such as Edwin Cerio and Roberto Pane. On June 13th of each year, the labyrinth of little lanes and the charming Piazza Boffe is animated by the procession dedicated to Sant'Antonio, patron saint of Anacapri, and again in the fall for the Settembrata festival during the month of September.